The Onward! series published by the UCSB Center for Black Studies Research includes studies, texts, and narratives that destabilize long-standing views and misrepresentations about Haiti and its people as well as Haiti’s rapport with the international community. These volumes combine the extremely quotidian with the visionary and challenge normative notions of objectivity, reason, and voice. They offer rich testimonies and analyses that dislocate, reassemble, and aim to (re)empower. Additionally, these texts create opportunities for growth and responsible engagement: they serve as platforms to critique and educate, as new spaces to heal and restore self and community. All in all, the Onward! series is about scholarship that transforms. These books look at the relationship between power and history, engage issues of representation, and urge us to work toward new and sustainable possibilities for personal, cultural, and political regeneration in Haiti and beyond. Remembrance / Re-mémoire documents the experiences of individuals who have been directly impacted by the 2010 earthquake. It includes reflections by Haitian women as well as those who are in solidarity with them through research, feminist organizations, social activism, and personal relationships. The collection exposes the complexity and diversity of the Haitian nation and its people, wherever they reside, debunking assumptions and misconceptions about the country's history and culture. It also considers the challenges of development in the reenvisioning of a new Haiti. 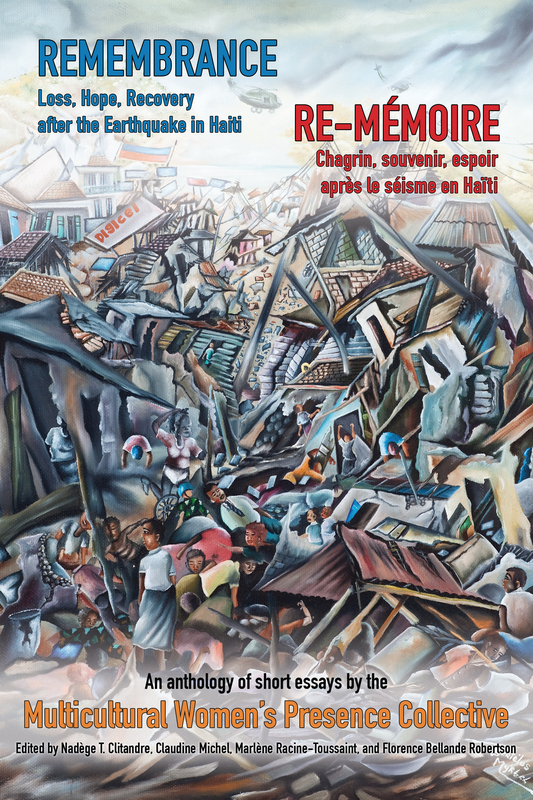 In this compelling report featuring over 60 sources, journalist Anne-christine d'Adesky maps advances in addressing the increase in sexual violence in the aftermath of Haiti's historic January 2010 earthquake and in providing services to victims across key sectors of the reconstruction. 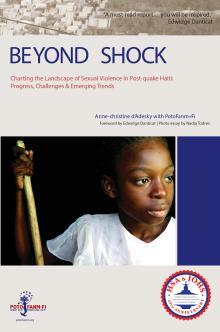 Beyond Shock provides a comprehensive examination of the broad and sectorial field progress made by frontline providers of services to sexual violence survivors since the earthquake. The book looks at the shifting landscape of actors, both established and new, Haitian and foreign, who have raced to respond to the crisis. It highlights groups, individuals, programs, and approaches that are making a difference in the field and captures emergent trends in this landscape. It offers hope for the future while revealing a very difficult situation in the present.